An active Permaculture Demonstration and Education site based in the eastern hillside of the Himalayan Mountains. In the shadow of Kanchenjunga Himal, the third highest mountain in the world, we pass the seasons by designing and implementing both land and non-land based permaculture programs, helping local communities develop sustainably and adapt to changing ecological conditions. 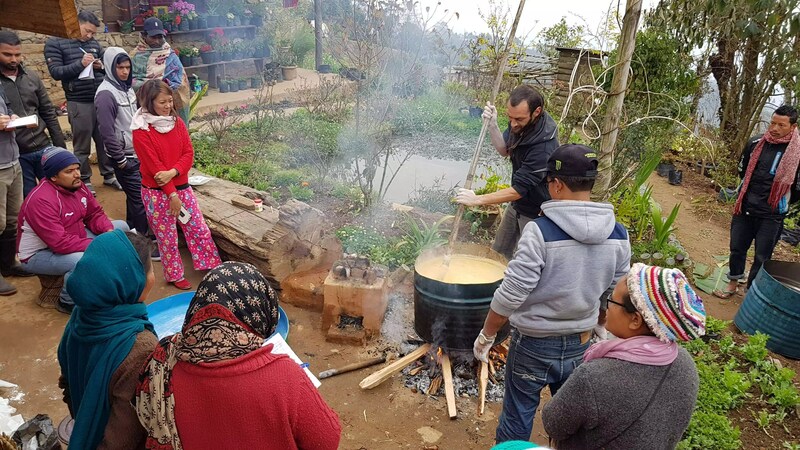 We demonstrate appropriate permaculture methods, train others and provide them with the bio-resources needed to make their communities more resilient. We also research different systems which are both practical and appropriate for this bioregion. Almost Heaven Farms provides all sustenance (food, energy and medicine) needed to care for it’s family and guests. Permaculture is the application of the principles of ecology in the design of sustainable human habitats. Follow us to learn more about how permaculture is being used in Nepal and across the himalayan hillsides.